Provincial nomination program is one of the ways through which a foreign citizen may apply for a residence in Canada. In this procedure a province can nominate an individual, part of which they can settle in desired province or territory. The provincial nomination program also known as PNP encourages you to apply for your stay in Canada in more profound and efficient way. This program allows refugees and citizen to apply for immigration and the individual who matches the requirement, are to be sent further for the process of PR. PNP is applicable in all the territories except the Quebec. For further details feel free to contact our consultant. We will provide you the best of our services and guidance to help your proceed further with the process. The rules applied for the PNP will be the same though through the procedure however. There isInternational Graduate category where, student who have work experience of at least two years, can also apply for the stay and this also falls in the category of PNP segment. 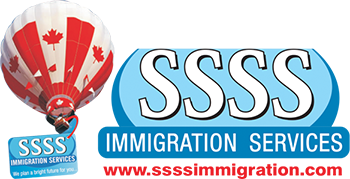 Canadian government takes care of this sector and all the applicants must come with their documents related to their immigration and purpose of visiting. However, all of this needs a supervision of an expert and the case has to be strong. This is exactly where our role comes in. Also, this duty to make you aware about all the rules and regulations required to make your entry in Canada. In self-employed section, applicants with experience in farming can also apply for it. However, the applicant must require funds to purchase farm. This ultimately boosts the economic system that government has planned for. Under the Driver Stream, you must have certain experience and all the needed immigration related documents in order to fulfill the need.